The procession route for Brian Scott Gamroth has been announced for Saturday, September 24th. The route takes Brian and his family by some landmarks that were near and dear to his heart. 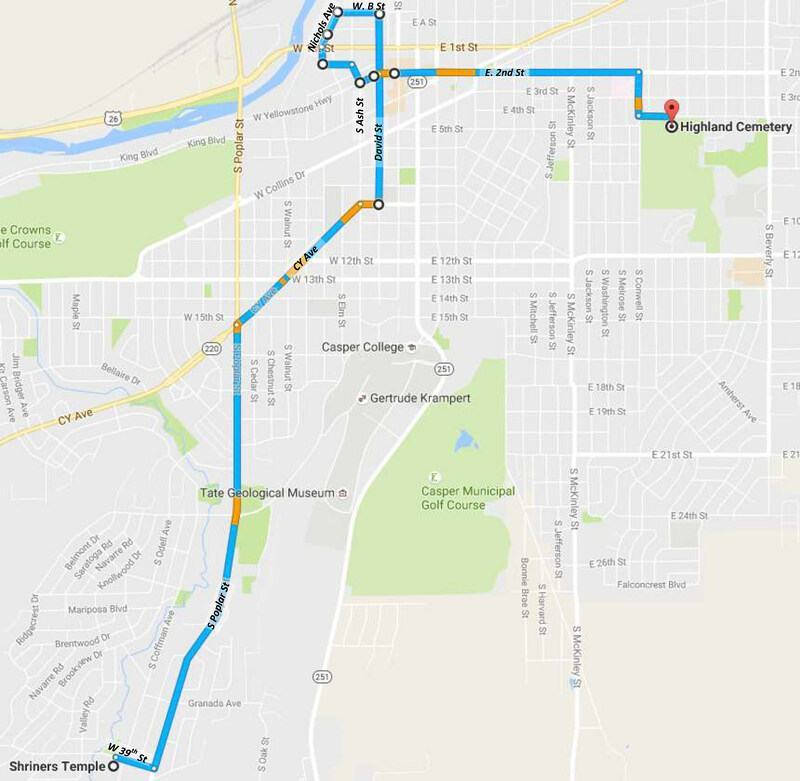 The route will follow the private service and will begin at the Shriners Temple (1501 W. 39th St.) and will end at Highland Park Cemetery (1860 E. 12th St.) where a private graveside service will be performed. Landmarks along the route will include the Townsquare Media/K2 Radio studios, The David Street Station Project, Old Yellowstone District, and the Gamroth family’s downtown loft. The procession is expected to begin around 3:15 - 3:30 PM. Saturday's services are private, but those who wish to pay their respects are welcome to do so along the route. A public memorial and Celebration of the Life of Brian Scott Gamroth will take place at the Casper Events Center Monday, September 26th at 3:00 PM.